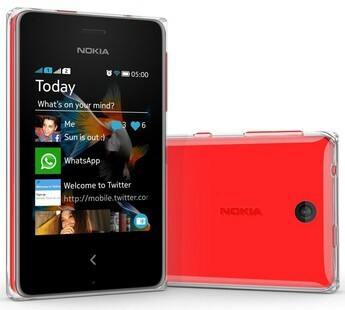 Nokia Asha 500 is one of the best examples of value for money smartphones. Nokia already has a good name with non-Android devices and this is one of them. Even if it is not Android based, you can use Whatsapp on this phone. It is a good option if you want a basic touchscreen handset for regular uses. The Nokia Asha 500 is a good choice for the price of INR 4000. The Nokia Asha 500 is a very quirky device and has a very minimalistic build. It comes with a 2.8-inch display with multi-touch. The resolution is 320x240p which is good enough for watching videos. Extremely quick at responding, the phone runs on Asha Software platform 1.1.1 OS. Internal memory is very low with this device but you can expand it via a microSD card. You can store up to 32GB of audio and video files on the Nokia Asha 500. With each model, Nokia gives a 4GB card. As far as the cameras are concerned, the 2MP shooter clicks pretty good pictures. Asha phones also come with fastlane for ease of connectivity. This feature lets you access social media and apps easily. The 1200mAh battery sounds low but the phone uses it smartly. So overall, if you don’t wish to spend much on a basic utility device, you can go for this one. Nokia Asha 500 full specs and reviews as of Apr 2019. Buy it here!